Aspiring surgeons find surgical simulators very helpful as a training tool. 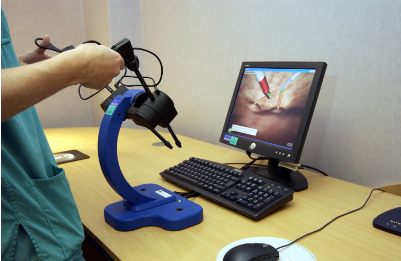 However, most of these simulators use simplified tool-tissue interaction because of the real-time feedback required. This problem can be overcome if finite models are developed. Abhishek Mukherjee, a research scholar with the IITB-Monash Research Academy, is therefore working on a project titled ‘Modeling of the interaction of soft tissues and cells with their environment’. It is well-documented that during surgery the tissue response is a function of force (applied by the surgeon), tool position, and the path taken by the surgeon. Abhishek is attempting to develop tool-tissue interaction models to predict feedback which could directly be fed to the haptic device if the simulations can be conducted in real time. And just in case real time computations are slow, realistic simulations could be carried out offline and fitted into meta-models, which could then be used for feedback from the haptic device. 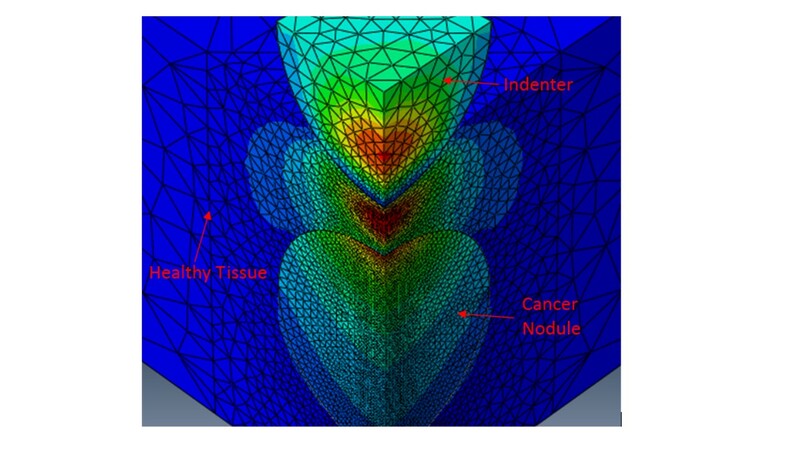 A three-dimensional computational model of an indentation process to detect an embedded cancerous nodule. The colours indicate stress development in the system with red indicating high stress and blue low stress conditions. The IITB-Monash Research Academy is a collaboration between India and Australia that endeavours to strengthen scientific relationships between the two countries. Graduate research scholars like Abhishek study for a dually-badged PhD from both IIT Bombay and Monash University, spending time at both institutions to enrich their research experience.